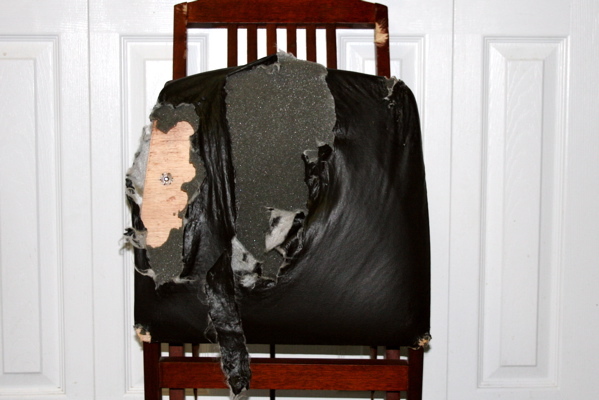 Here’s the actual chair that Bunny ate. I thought Sean had taken it out to the garbage, but turns out it was still sitting in the garage, so I thought I’d take a photo of it, just so you can see the glorious wreckage that one small, bored French Bulldog can inflict in the space of a few hours. We’re thinking of running it as a sort of ticker on the side of the page.